Other than mom, houses are probably my biggest ongoing theme. Going through my images makes me realize how HUGE houses are in my personal box of symbols. Check this out! Houses spell out a kind of autobiography for me! 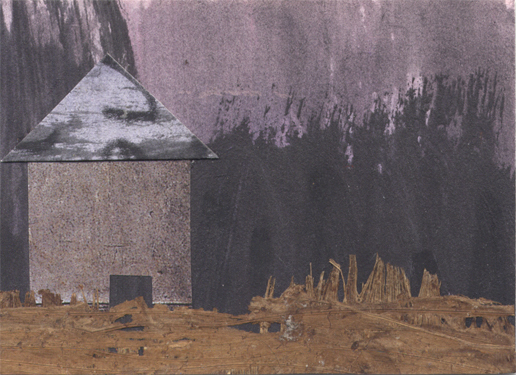 Three Houses on a Cliff, 2.5 x 3.5 inches, mixed media on paper. 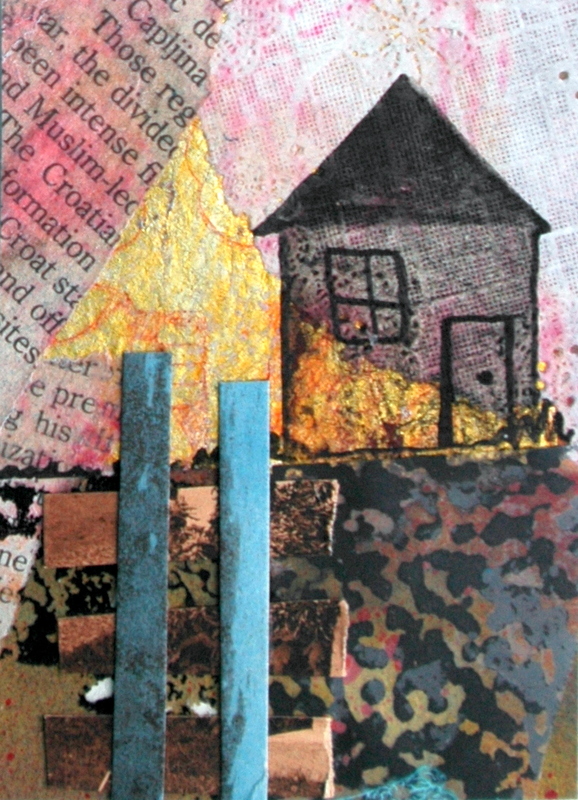 Housescape, 2.5 x 3.5 inches, mixed media on paper.Three Houses on a Cliff, 2.5 x 3.5 inches, mixed media on paper. 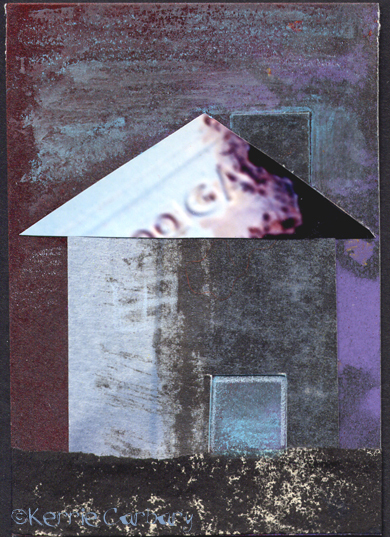 house, 2.5 x 3.5 inches, mixed media on paper. 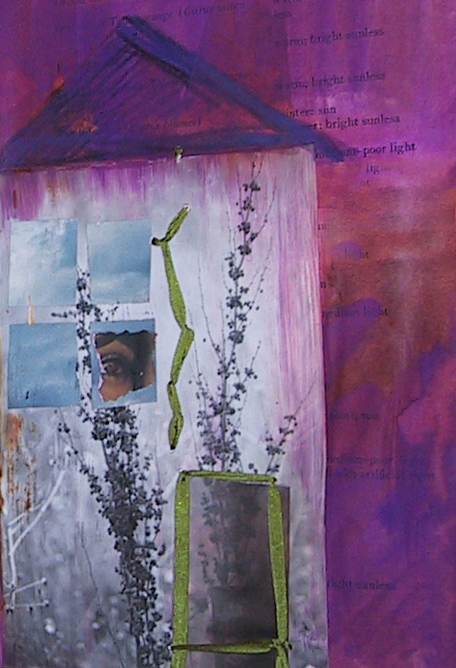 Garden House, 2.5 x 3.5 inches, mixed media on paper.house, 2.5 x 3.5 inches, mixed media on paper. 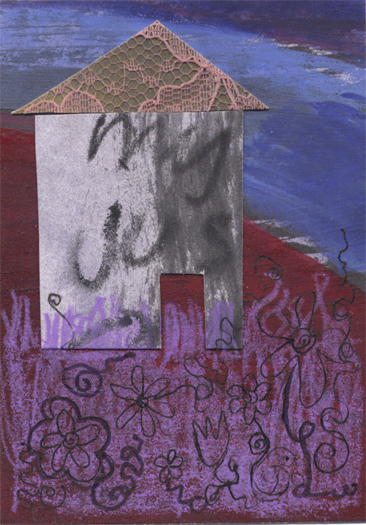 House on a Hill, 2.5 x 3.5 inches, mixed media on paper. This entry was posted on September 5, 2011 by kerriecarbary. 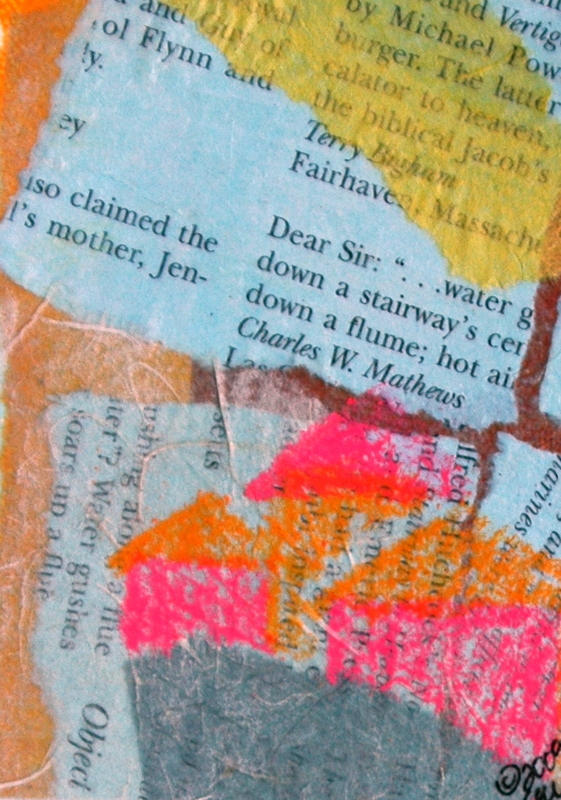 It was filed under mixed media .